Note: The following account was compiled via interviews with family members, review of testimony presented during the appeal hearing, and data collected in numerous reports from noted experts involved in the case. Mr. Middleton has been strongly advised by his counsel to not directly discuss the incidents of that day. In early 1990, when the accident occurred, Ken and his wife Kathy had been traveling back and forth between their home in Blue Springs Missouri and the house they were building in Vendor, Arkansas. Ultimately they were planning to retire on the "homeplace" in Vendor. 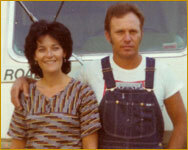 The Arkansas acreage was where Ken had lived as a youngster and where his mother had spent most of her life. At the time, she was living in her home on the property. The week before Kathy's death, Ken had been in Arkansas spending time with family and working on their future home. On Saturday, one day prior to returning to Blue Springs, he had a conversation with his two sisters to discuss their mother's failing health. During the time they spent together that day, the two women were concerned about Ken as he was clearly very ill. One of the sisters was so alarmed by his condition that she feared that he may have pneumonia. 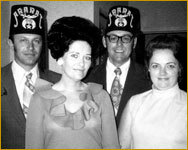 Sometime earlier, Ken and Kathy had been assigned guardianship over Michelle, the 11 year old daughter of one of Kathy's nieces. She had lived with them for quite some time and all signs were that they would ultimately retain custody of her for the long term. Her father had been deployed with the military and her mother (Kathy’s niece) was not able to care for her. Monday morning (the day after Ken's return from Arkansas) was routine. Kathy left for work and Ken fed Michelle her breakfast prior to seeing her off to school. The only atypical circumstance is that Ken was still ill. He had been struggling with chills and weakness for a few days. That morning, Kathy left a note for Ken to pick up some milk. In addition to the groceries, Ken also proceeded to another store to purchase a new hose for their central vacuum system. As he was unloading everything from his truck, he realized that a handgun he had brought back from Arkansas was still behind the seat. The previous fall, Ken had been elk hunting in Colorado. He had taken the gun with him on that trip. When he returned from Colorado , he left the gun at the home in Vendor, Arkansas. He had decided to take the gun from the Vendor home back to Missouri when he saw signs that it was beginning to rust. The gun had remained in the holster since the Colorado trip. When he took the gun inside, he placed it on an ottoman along with a towel. His intention was to clean the gun and lock it in a safe inside the house prior to Michelle's return from school. 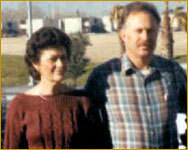 When Ken returned home, he spoke to Kathy and let her know that he had taken care of everything. During their call, he told her how he was feeling worse. Apparently he had taken some prescription medicine on an empty stomach. The combination of this and his illness was causing Ken to feel dizzy. Following their conversation, Ken sat back in a chair in the living room and probably dozed off. Unbeknownst to Ken, after they spoke on the phone, Kathy had decided to return home to check on him. Moments later, he was awakened by the sound of the garage door opening. When Kathy walked in she was apparently distressed by Ken's condition. She walked over to him and saw the gun placed on the ottoman. She told him that she was going to phone the doctor. She then mentioned that the gun needed to be put away as clearly now was not the time to worry about cleaning it. She picked up the gun and proceeded to walk in the direction of the kitchen. Immediately, Ken made three consecutive frantic calls to 911. In each call he was begging for help for his wife. Ultimately, the 911 operator told him that help was there. That he should walk out to the garage. When he walked outside he was immediately met by police officers with guns drawn.